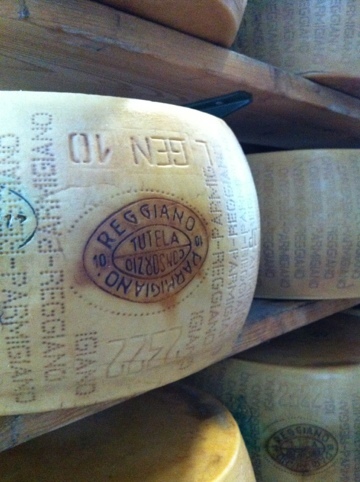 How to visit a Parmesan cheese producers in Parma, Bologna or Modena. 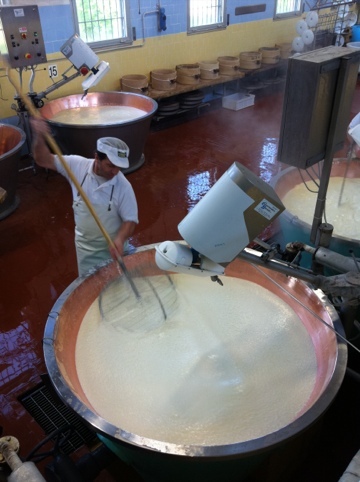 I plan to visit Parma region between 28th Apr to 3rd May and would like to visit the cheese factory in Parma. Ther are 5 of us. Would like to know how we can go about it. Do you have your own transport, or you would like us to organise it? Are you staying in Parma? Bologna or Modena? Hi, I am traveling in July with my family of 5 and would like to organize a tour. Are there tours on Saturday or Sunday with the cheese being made on those days? Or, only Monday through Friday? Right now my itinerary brings me through on Friday night into Saturday, July 5 -6th. Thank You. hello – Can you suggest places for tours on Monday, 26 Nov 2018? We have our own car. Thank you. We are going to visit your region and to stay in Modena. We are interested in one of your dairies : 12.11.2018 , 2 persons, our own transport,a tour ( English( or audio guid ) is o bligatory). Let me know what do you recommend and a price per person for it. We are a group of 18 adults. We have our own cars and we shall stay in Bologne on the night of 30-31 May, 2019. We plan to go Modena 31 May visiting local producers of Parmesan cheese, prosciutto ham, and balsamic vinegar. We wish to include a local cooking lunch with a taste of local wine too. Can you arrange us a tour on such and tell me the cost for it. For quotes about the foodies delight tour please use the dedicated page on this site, follow up all the steps until the payment is asked. That is the quote for your group.